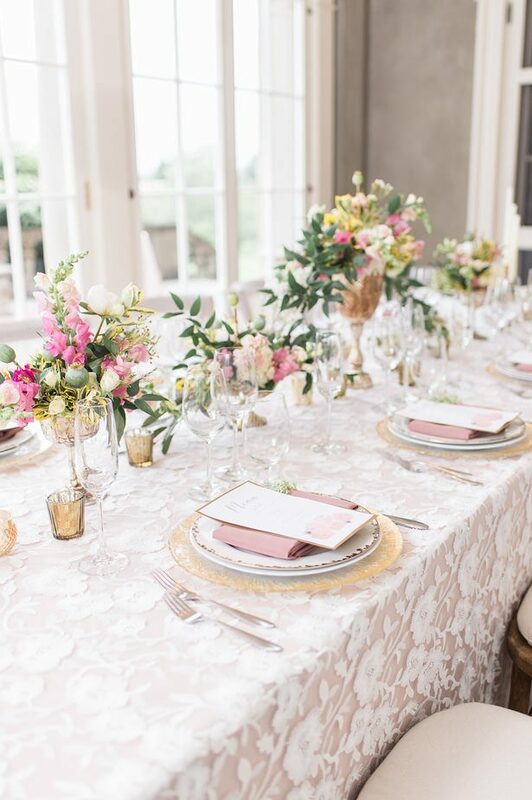 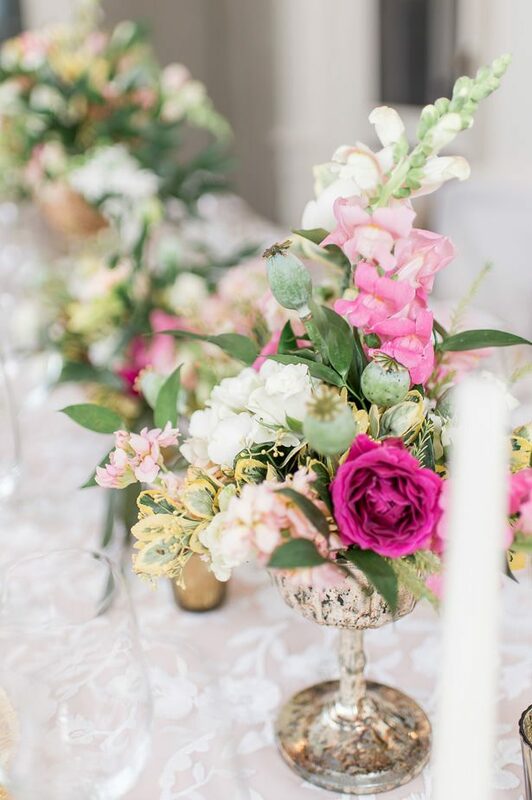 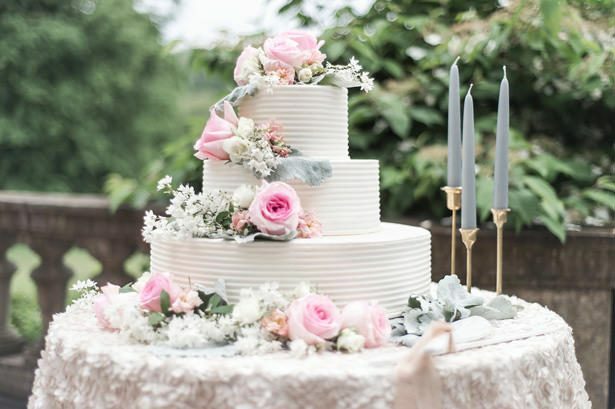 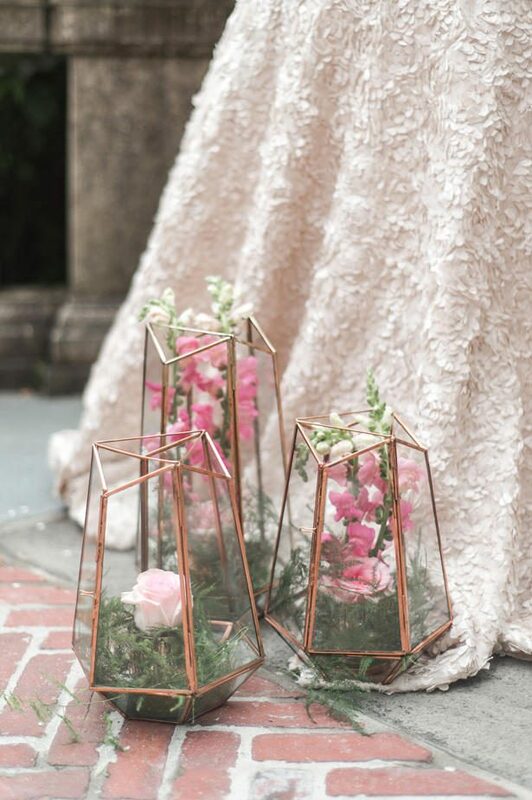 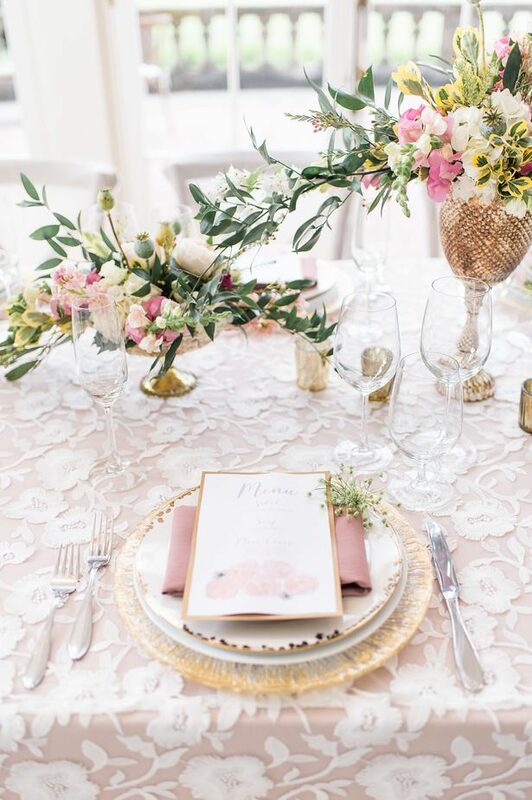 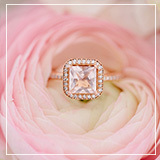 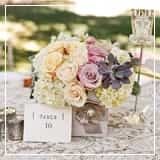 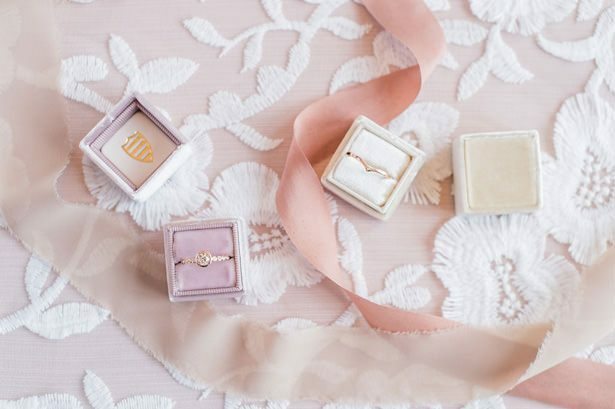 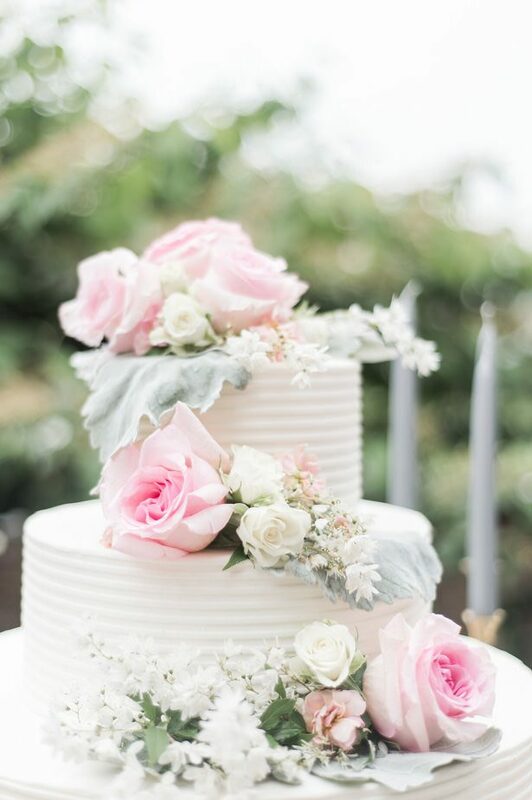 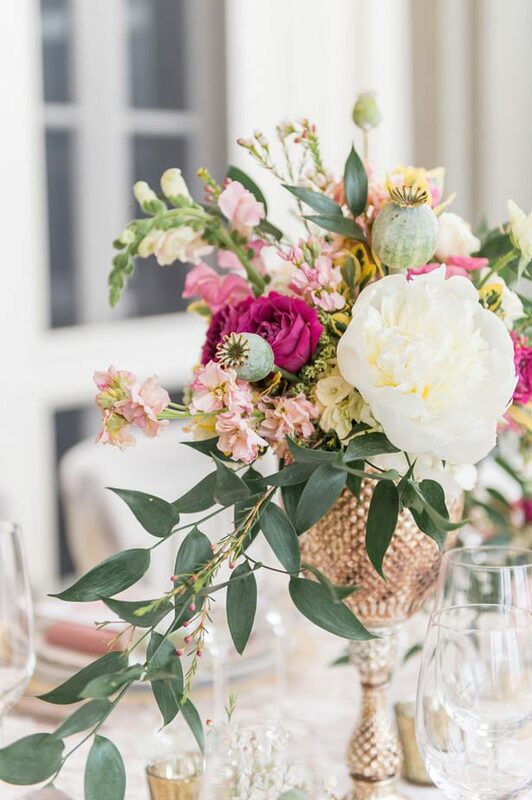 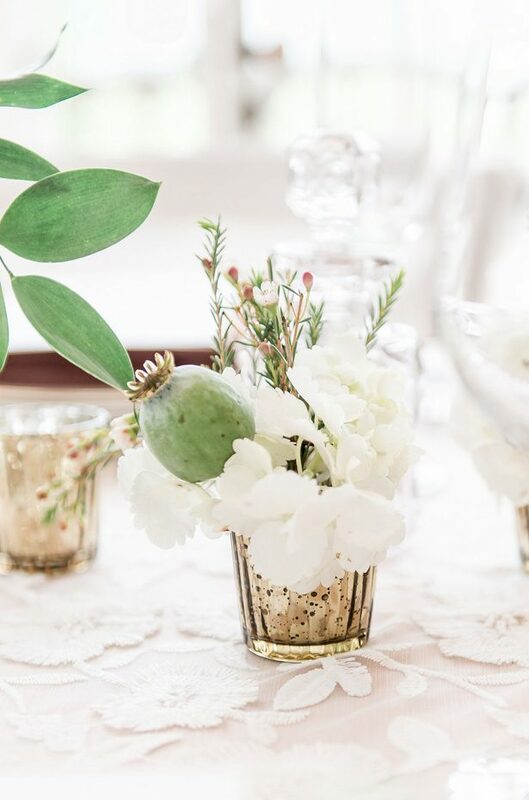 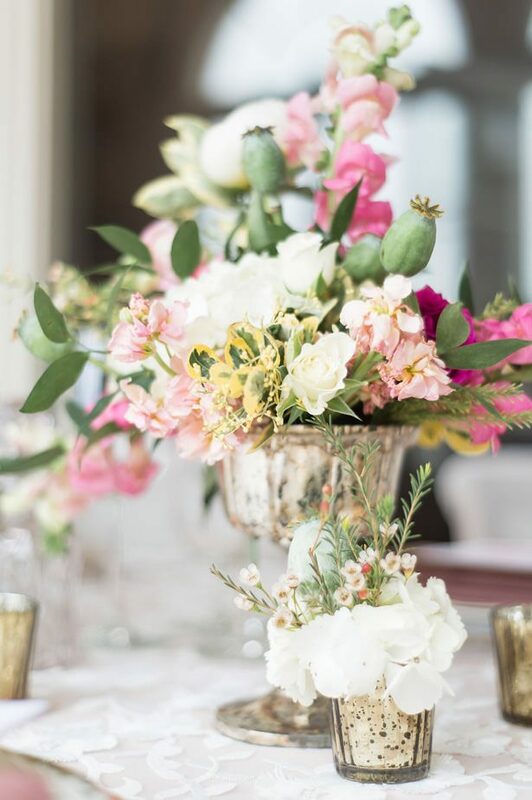 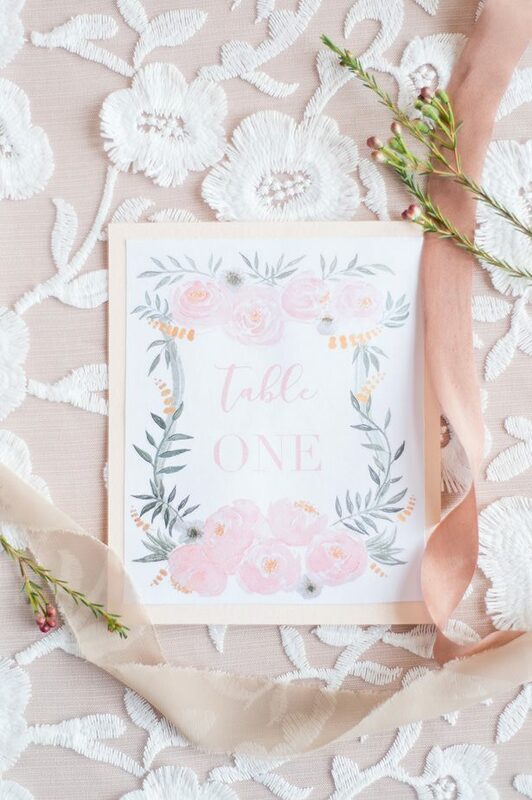 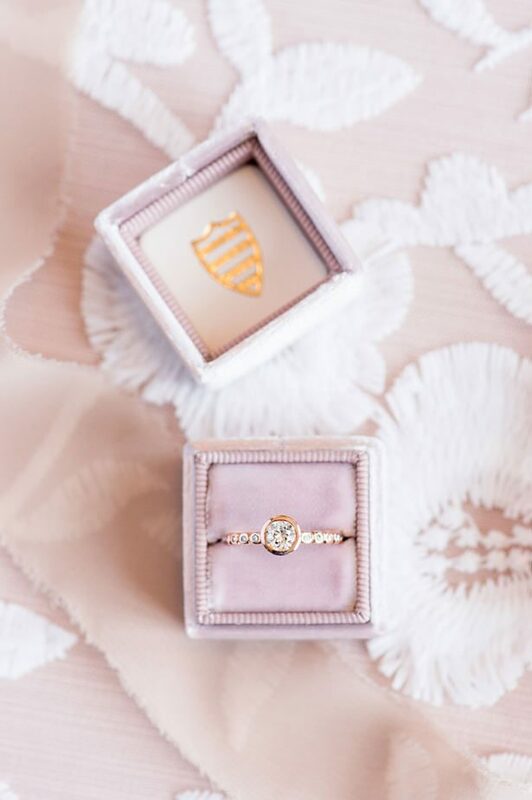 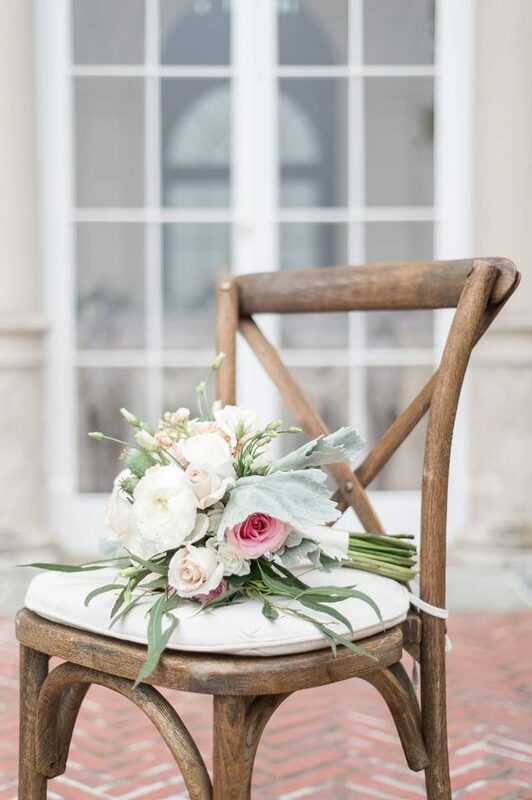 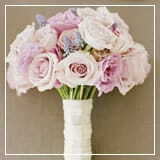 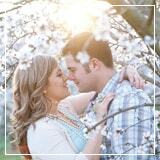 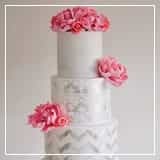 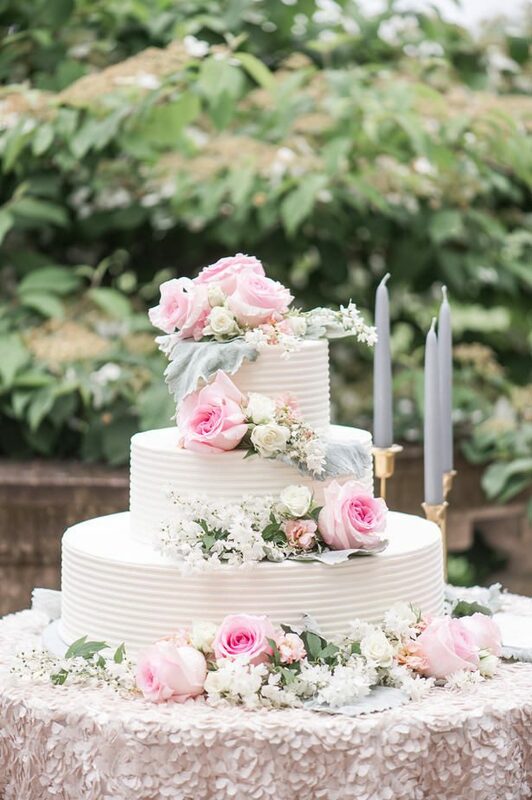 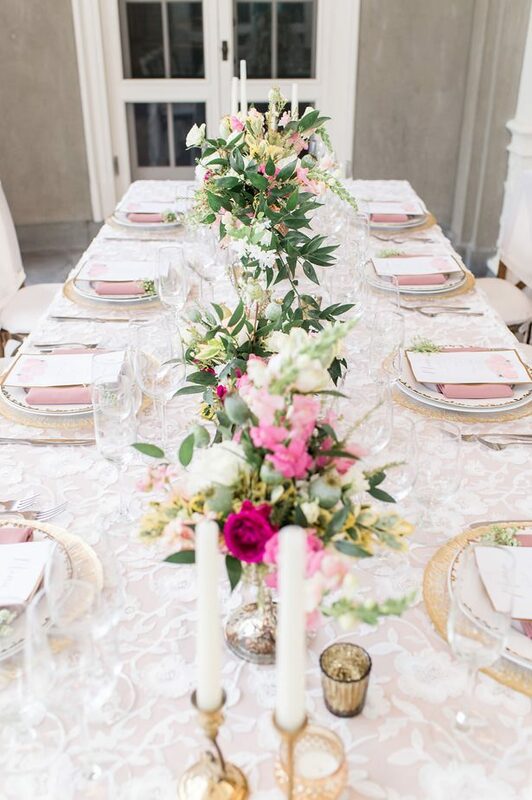 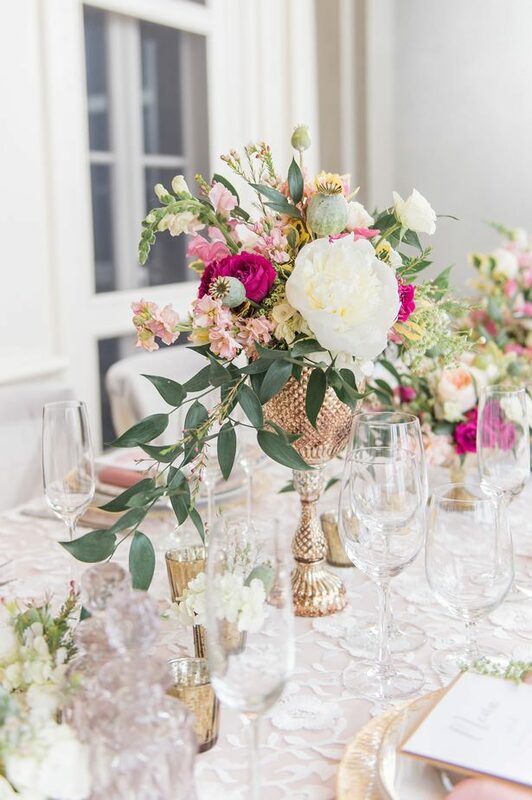 This bright and elegant shoot is chock-full of elegant blush wedding inspiration perfect for the spring or summer bride. 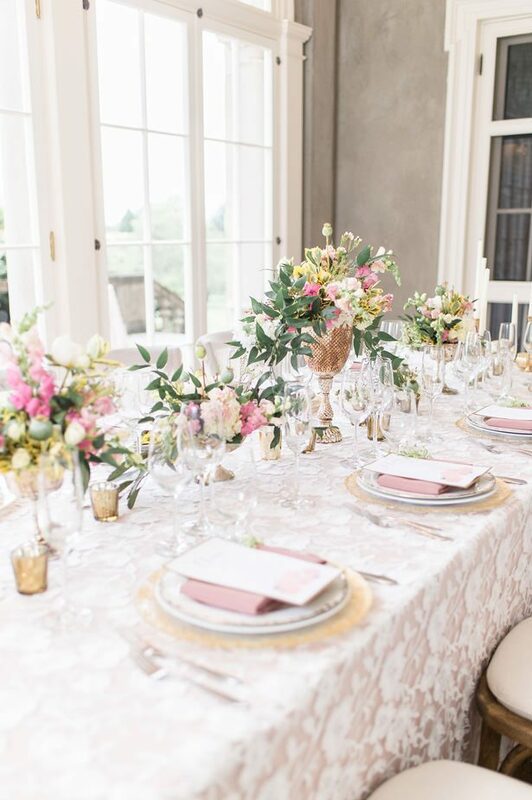 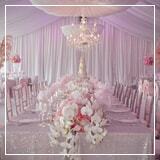 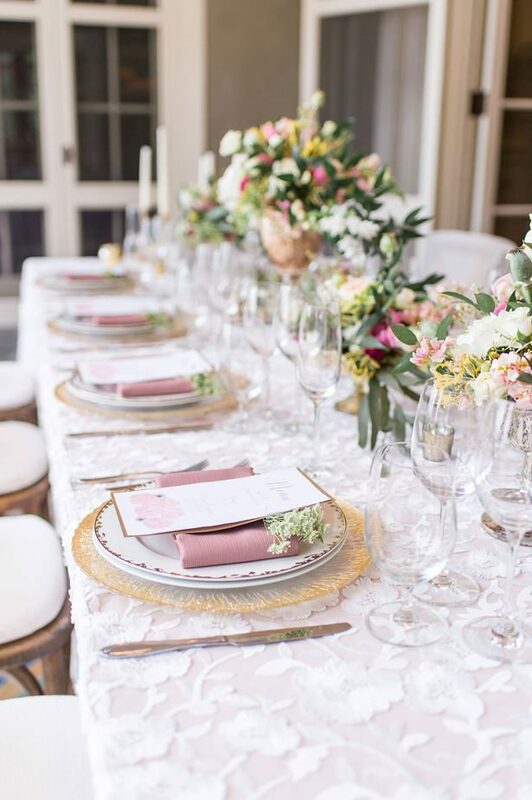 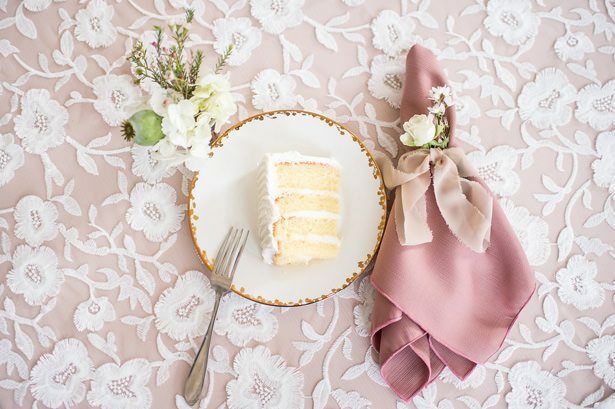 A gorgeous palette of blush pink, mauve taupe, pale ivory, and hints of greenery is the perfect match for this dramatic, regal backdrop — and the hints of gold in the table settings add a lovely layer of warmth. 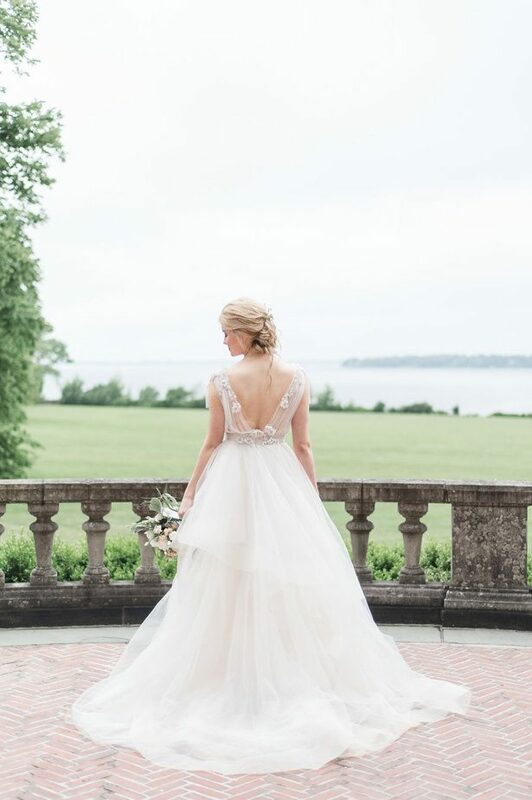 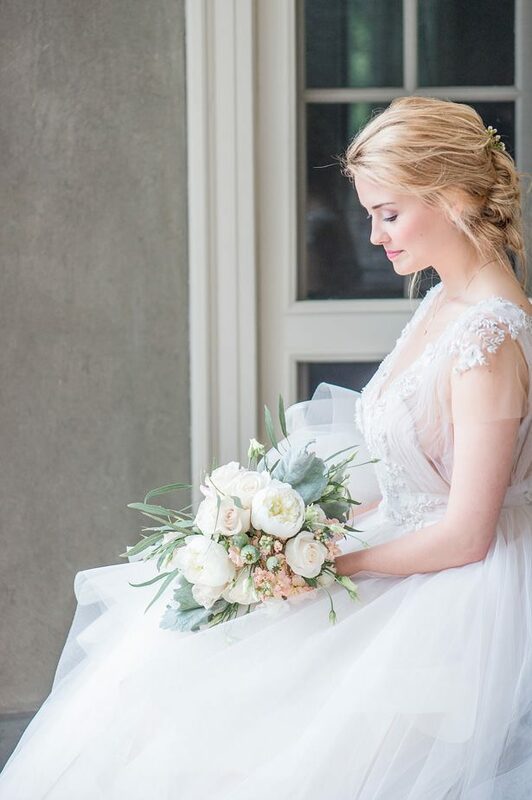 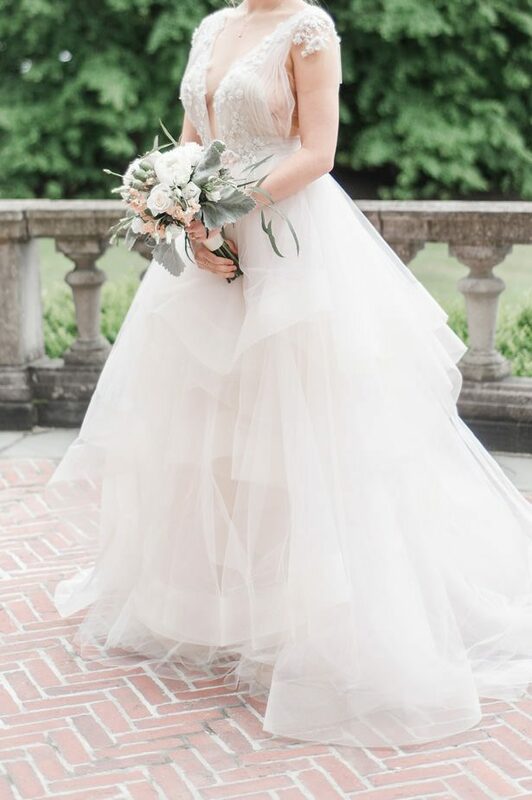 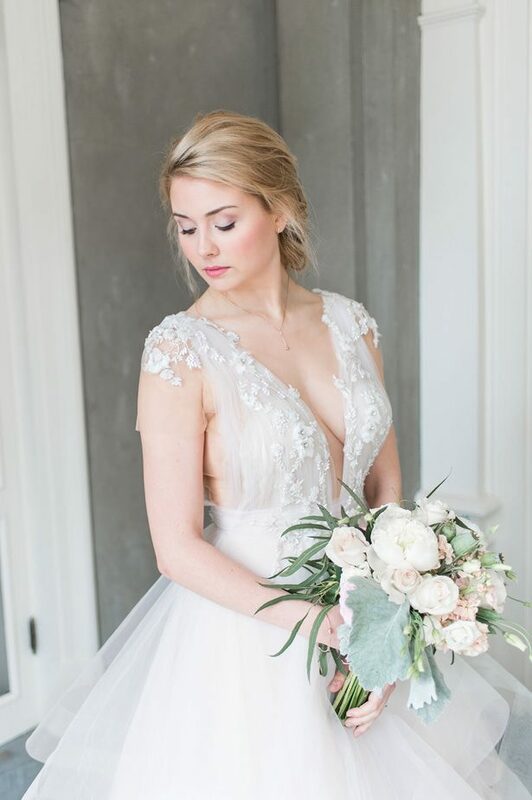 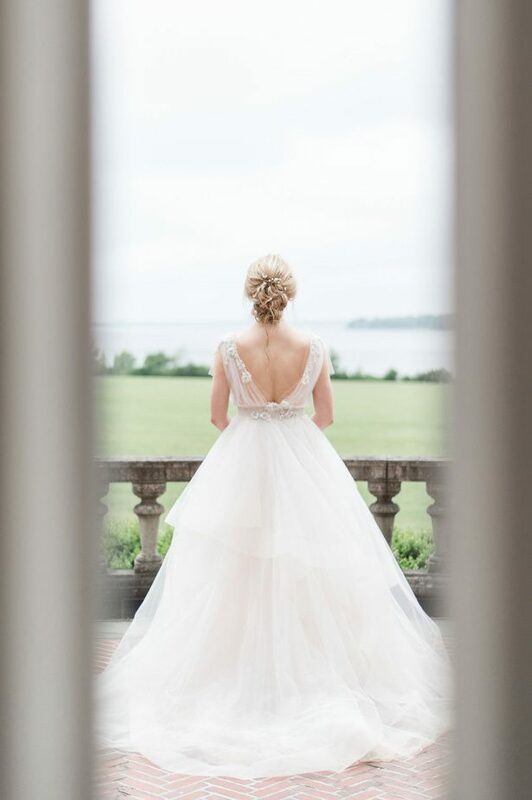 The slightly-off-the-shoulder gown with sheer touches is a great choice for a modern bride, really adding to the magical feeling of the shoot. 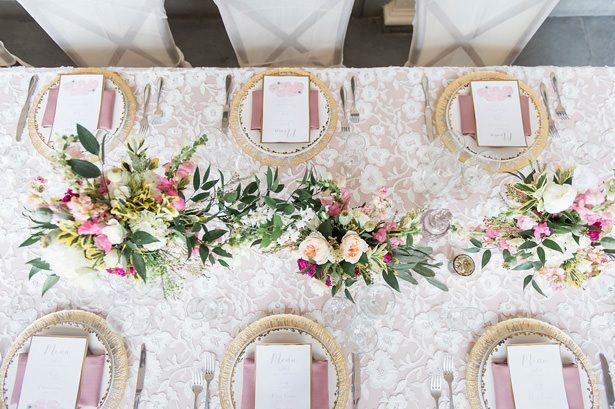 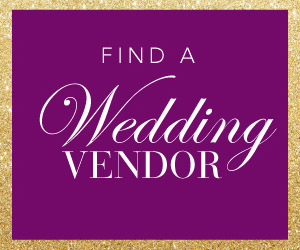 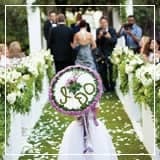 Check out the FULL GALLERY from Lynne Reznick Photography to see how a dramatic setting and warm details can create wedding bliss!